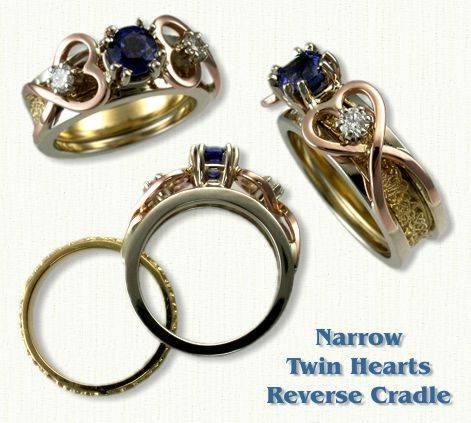 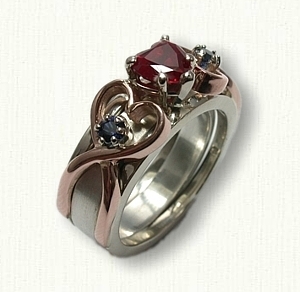 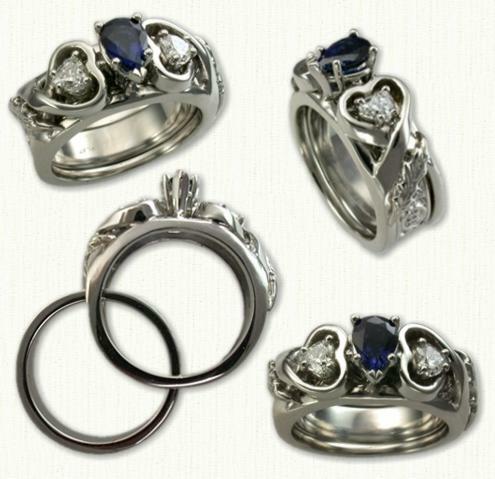 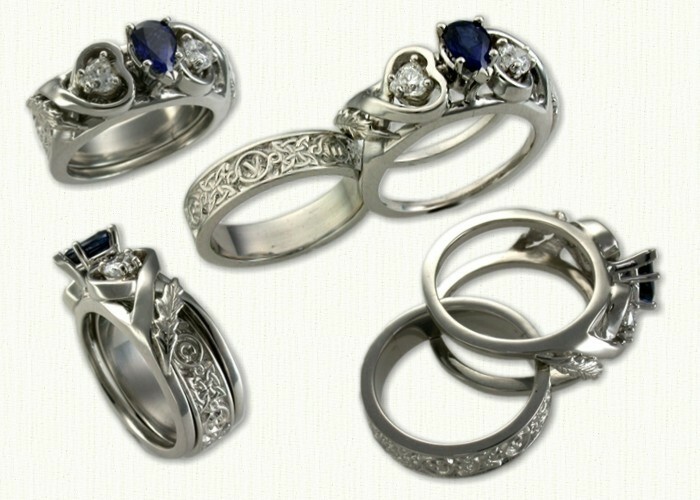 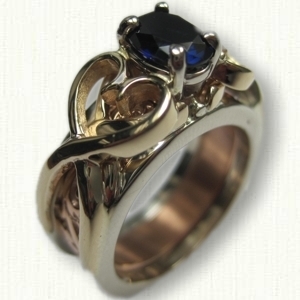 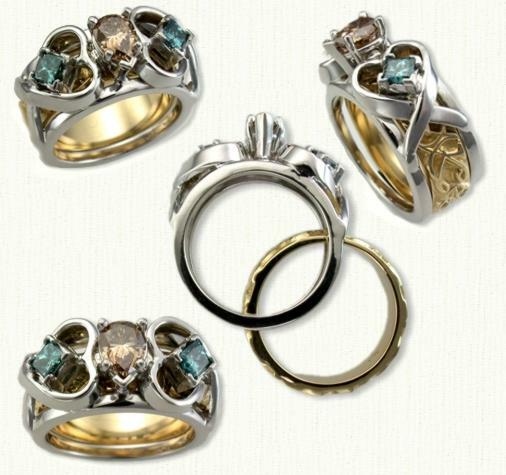 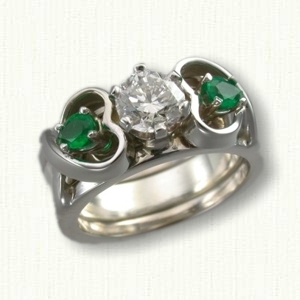 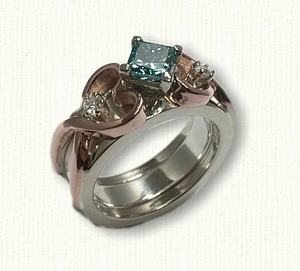 Narrow Twin Heart Reverse Cradle Mounting (6.5mm) set with a round blue sapphire and two side diamonds. 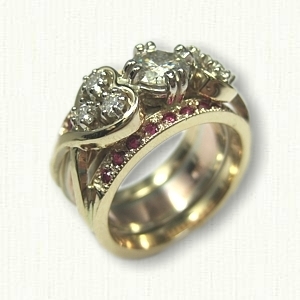 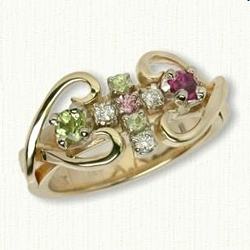 Shown in 14kt White Rails, Yellow Triangle Heart Knot Inside Band, and Rose Gold Hearts. 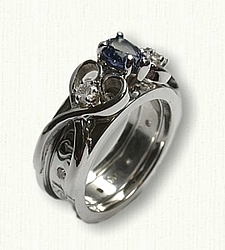 Visit our matching Triangle Knot and Heart Knot band pages for other ideas.